The industry leading Multiplex filtration system, combined with professional design and construction offer convenience and protect the safety of personnel during use, maintenance and decontamination of the cabinets. General purpose Safekeeper cabinets are available in bench/desktop and floor-standing models. Select models are available with two, three or four independent drying chambers, each with its own filtration and control system. Safekeeper FDC-002, top. Shown with timed UV decontamination system. The Transporter is an on-site fabric chamber developed for transporting evidence from the field to the lab. Easy to Install. Safekeeper drying cabinets are self-contained; venting to the outside is optional. Downflow and standard units are portable and may be moved from one location to another without filter changes and with minimal downtime. Set-up, operation and filter maintenance are straightforward. Safe to Use.Cabinet airflow and face velocity protect users from incidental exposures to fumes, odors or bloodborne pathogens. Self Testing. (select models) Electronic airflow monitoring assures continuous safety. An electronic gas sensor monitors carbon filter performance. The Air Science Safekeeper series of drying and storage cabinets provide a secure, tamper-resistant area for drying and storing clothing, bed sheets, blankets, towels or other items collected from homicide and sexual assault cases. Safekeeper cabinets are constructed of polypropylene that does not absorb liquids, is easily cleaned with household detergents, and can be sprayed with a 10% bleach solution to eliminate bloodborne pathogens and DNA. Cross-contamination between items of evidence dried in Safekeeper cabinets is eliminated. The cabinet floor may be lined with a kraft paper sheet or an optional evidence collection tray to catch trace evidence such as hair or fibers that may fall off the substrate. Optional self-locking evidence security tags provide tamper-resistant locks to keep contents secure during drying, maintaining and documenting the chain of custody and reducing defense challenges to evidence handling. The Air Science Multiplex filtration system prevents cross- contamination and fully protects the operator from the hazards associated with the evidence. It also provides the cleanest air available in the industry. Because there is no ANSI standard for forensic drying cabinets, Air Science Safekeeper products are designed to meet ANSI ductless fume hood specifications. The Air Science carbon filter provides superior efficiency with an optional safety filter to bring the cabinet into full ANSI compliance. Safekeeper forensic evidence drying cabinets provide cost-effective storage and containment for forensic evidence as it is dried by a constant flow of air. Air Science ductless technology removes airborne pathogens, particulates, fumes, and odors emitted by the contents. Easily cleaned to protect items of evidence from crosscontamination. Push-pull shelving, hanging rods and lockable front doors facilitate application of cabinets to many situations. 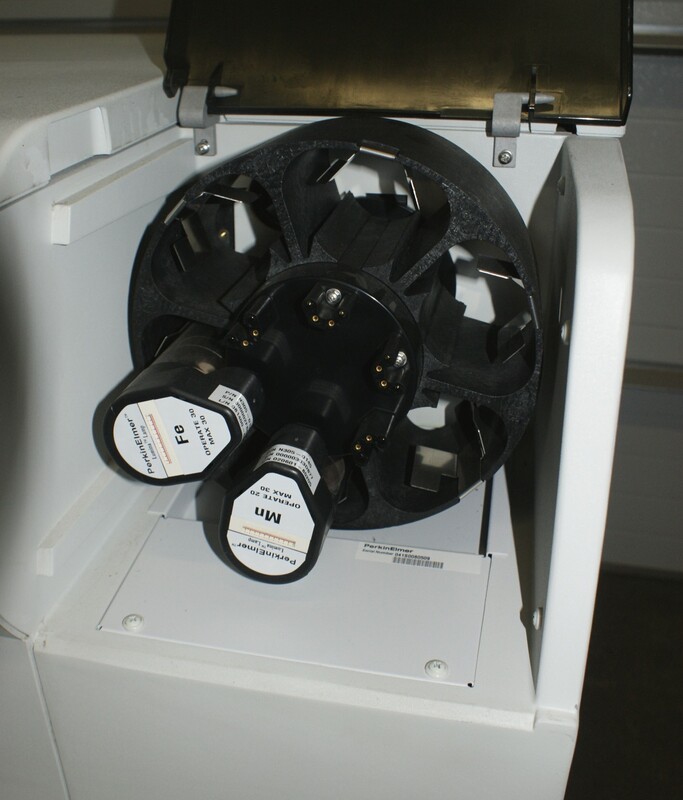 Left; Safekeeper® FDC-006, shown with 5-Stage Multiplex Filtration System. Right; Safekeeper® FDC-006GL, shown with Multiplex Filtration System. A. The main filter is easy to replace, no tools required. The filter clamps tightly against the filter gasket to prevent filter bypass and maintain filter integrity. Safekeeper FDC-007D duplex model, shown open. A. Filter I.D. Window: When specified, the front cover has a window that reveals the installed filter part number and installation date for convenience and to encourage timely filter replacement. C. Control Panel: Electronic controls and displays include switches for the blower and lights, an electronic hour counter and low airflow alarm, all located on a convenient front surface panel. D. Hour Counter: Assists in tracking evidence drying time. E. Internal Manual Speed Controller: Authorized personnel may set the centrifugal fan motor speed as desired. F. Airflow Alarm: A continuous air velocity monitoring system alerts the operator upon unacceptable values. G. Dynamic Filtration Chamber: The dynamic filter chamber prevents any possible leakage of contaminated air by pressurizing the fan plenum (positive air) and depressuring the filter compartment (negative air). H. Outside Sidewall Hose: Connects to external water supply, located to avoid tripping hazard. I. Hanging Rod: All General Purpose and Downflow models have a removable stainless steel hanging rod with anti-slide cover. J. Drain: Central 1.5" bottom drain with anti-siphon trap and strainer to capture contaminants in waste water stream. K. Push-Pull Shelving: All General Purpose models have three perforated polypropylene Push-Pull shelves with drain channel that can be installed and removed with one hand and may be stored within or outside the cabinet; two included with Downflow unit. L. Color: The cabinet is white with blue doors. M. Drain Valve: Manual open and close drain valve. N. Electrostatic Pre-Filter: All pre-filters (doors and main) are changed quickly without tools and are of a standard size for simple stocking and ordering. Optional HEPA filter available. O. Doors: Blue metal framed tempered glass doors with key lock, tamper proof seal, provide improved security stability and ease of cleaning. P. Built-in Containment Compartment: Adheres to Occupational Safety and Health Administration (OSHA) standards 29 CFR 1910.1030 regarding bloodborne pathogens. Optional UV Lamp:Activated ultraviolet light provides secondary disinfection of the interior between cases to prevent cross contamination, ensuring integrity of the samples for DNA testing. DECONTAMINATION AND WASTE WATER REMOVAL FEATURES FEATURES: General Purpose Units, including Downflow Models. Central 1.5 bottom drain with anti-siphon trap. Optional automatic wash down system with sprinkler heads to wash interior of cabinet. Includes cleaning agent injection and mixing tank. The Safekeeper Drying Cabinets with floor drain are designed to eliminate the need for hard plumbing, drain traps or hard wiring. Downflow and standard models are uniquely sized to pass through standard doorways. Hose location is exterior, right side, with 8 hose provided. Standard tap water supply pressure recommended; greater pressures require an optional water regulator. Line cord provided with standard molded plug, NEMA 4-14P for quick connection to standard wall outlet, NEMA 4-15R. Ductless filter output cabinet top. Optional 8 collar available with butterfly valve for external ducting. Following are a comparison of shelf and hanging rod configurations for various Safekeeper cabinet models. All General Purpose models have three perforated polypropylene Push-Pull shelves with drain channel that can be installed and removed with one hand and may be stored within or outside the cabinet; two included with Downflow unit. All General Purpose and Downflow models have a removable stainless steel hanging rod with anti-slide cover. Drugkeeper models include open wire adjustable shelves. Optional evidence collection and drying trays with handles that fit in the bottom of the cabinet are available on all units. The perforated polypropylene shelves remove easily with one hand. Shelves are easily adjustable and impervious to harsh chemicals. Activated carbon main filter formulated for General Purpose and Downflow forensic evidence drying captures putrid organic odors as well as other fumes that may be available (i.e. alcohol, solvents, gasoline, etc.). Single chamber evidence drying cabinets are available in six exterior widths (from 30" to 96") and two heights (74.375" and 82.25"). Each model includes a single control system and single or dual filter/blower systems depending on size. Standard height cabinets are designed to pass through standard doorways on casters for maximum mobility. Tall units offer a greater drying height and are typically located in a fixed position and are not usually moved from one location to another. Safekeeper FDC-006XT; shown with optional UV decontamination lamp. 30" x 27.75" x 74.375"
40" x 40" x 89"
36" x 27.75" x 74.375"
39" x 27.75" x 74.375"
45" x 40" x 89"
48" x 27.75" x 74.375"
58" x 40" x 89"
60" x 27.75" x 74.375"
65" x 40" x 89"
72" x 27.75" x 74.375"
80" x 40" x 89"
96" x 27.75" x 74.375"
106" x 40" x 89"
30" x 27.75" x 82.25"
36" x 27.75" x 82.25"
39" x 27.75" x 82.25"
48" x 27.75" x 82.25"
60" x 27.75" x 82.25"
72" x 27.75" x 82.25"
96" x 27.75" x 82.25"
Multiple chamber evidence drying cabinets feature independently filtered and controlled chambers within a single cabinet. Choose from two, three or four chamber models. TRI and QUAD cabinets feature independent chambers and filtration systems to permit simultaneous but separated processing. These cabinets are available in tall configurations only. 65 x 40" x 89"
Safekeeper Benchtop models are sized to fit on a standard lab bench. The 19" high model fits on a 24" deep bench, and the 24" high model fits on a 30" deep lab bench. A convenient spray hose simplifies cleaning of the interior chamber. A standard water supply fitting is used to connect the cabinet to a common utility faucet. Air Science® Safekeepers® use energy-efficient ebmpapst brand centrifugal blowers for long life, dependable performance. 30" x 27.375" x 48"
40" x 40" x 60"
Two Push-Pull shelves per compartment. Safekeeper Downflow Forensic Evidence Drying Cabinets, designed for use in a garage or parking area with dirty/sandy floors, feature activated carbon main filter formulated to capture putrid organic odors as well as other fumes that may be available (e.g., alcohol, solvents, gasoline, etc.). 36" x 27.75" x 73"
40" x 40" x 88"
48" x 27.75" x 73"
58" x 40" x 88"
60" x 27.75" x 73"
65" x 40" x 88"
Reduces exposure to carcinogenic chemicals involved in illegal drug production and processing. With HEPA/ULPA filter, eliminates exposure to toxic mold (alfatoxins) on marijuana plants and permits wet plants and leaves to be dried quickly. Filter is formulated to capture specific vapors generated by typical chemicals collected at methamphetamine labs. Windowless doors recommended if located in viewable areas. Drugkeeper shelves are open wire, easily adjustable and removable for cleaning. Access to the pre-filter is from the interior. Drugkeeper Storage Cabinets are useful for short-term storage of hazardous chemicals and other substances typically associated with drug investigations. Minimizes health and environmental risks associated with handling chemical vapors and residues, VOCs and other materials associated with methamphetamine production. 34" x 20" x 29"
34" x 24" x 79"
40" x 40" x 87"
64" x 24" x 79"
80" x 40" x 87"
16" x 20" x 16"
7.5" x 8" x 9.5"
Cabinet includes plastic hangers, a plastic zipper designed for tamper proof seals, hanging rod, push handle, locking wheels, evidence tray and biological hazard warning label. The Safekeeper Mobile Evidence Transporter is designed to maintain the integrity and credibility of evidence collected in the field, while permitting air drying prior to processing. Ships and stores knocked down for compact storage; can be quickly field-assembled as needed. White PVC frame with Texilene mesh fabric to conceal unsightly material from display, is resistant to liquids and odors, and is easily cleaned with conventional detergent. 35" x 30" x 69"
30" x 30" x 13"
Microprocessor controller to monitor cabinet operating parameters, airflow, containment, and filter condition; emits audio and visual alerts if conditions become unsafe. main filter needs to be changed. surfaces. The UV kit includes a timer and door micro switch interlock. The UV operation must comply with local codes and facility safety practices. Contact your facility safety officer for details. allows trace items to fall into it. Available in white or black. Automatically turns blower off at preset time. mixing tank to inject cleaning agents. protective goggles, latex gloves, disinfectant spray, respirator, paper lining for collecting trace evidence, tamper proof seals, set of prefilters, and biohazard safety labels for waste. * Factory installed; specify when ordering. ** Includes timer, and door micro switch. Safety precautions must be followed.